We can’t believe Sunshine Fest is already THIS SATURDAY! Here’s what you need to know. 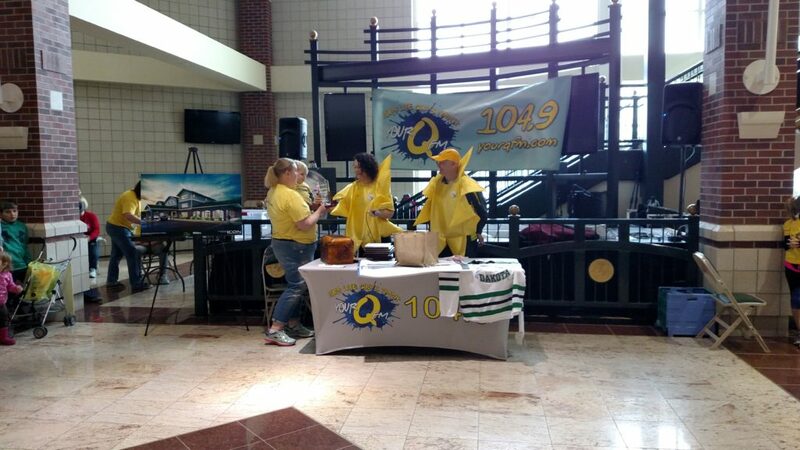 The event is at the Ralph Engelstad Arena. You can use the Southwest (Student) Entrance. Parking is free. The doors will open at 8:30am and the event will kick off around 9. The first 300 people will get a swag bag. Once you finish your laps, stick around as we’ll be announcing a few awards, including the More Sunshine Team Award! Our four prize winners for the teams with the most participants and most funds raised will be announced sometime the following week, as it takes a little time to calculate those results. Online registration is available until Thursday at midnight. We hope to see you there! It puts a huge smile on our faces when we hear people say they have fun at Sunshine Fest. Obviously the whole point of it is to raise money, but we also enjoy entertaining people. 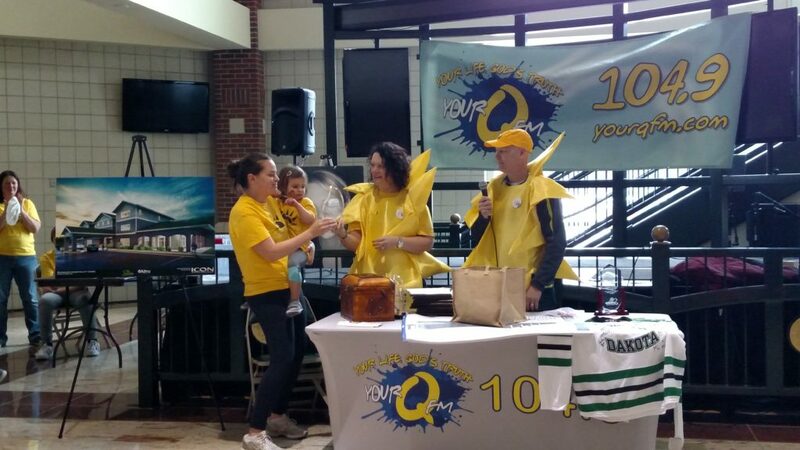 We’re changing things up this year a bit, as there won’t be a Health & Wellness Fair. However, there will be plenty of other fun activities! The Kid Zone is always a popular favorite. There will be face painting and raffle prizes. Elvis will also be walking around the concourse. If you see him, don’t be afraid to ask for a picture! And of course, we will have a photo booth and photographer there! Have you tried the new place in town yet? Crooked Pint Ale House is famous for their Lucys (stuffed burgers)! Give them a try Monday, January 15th. 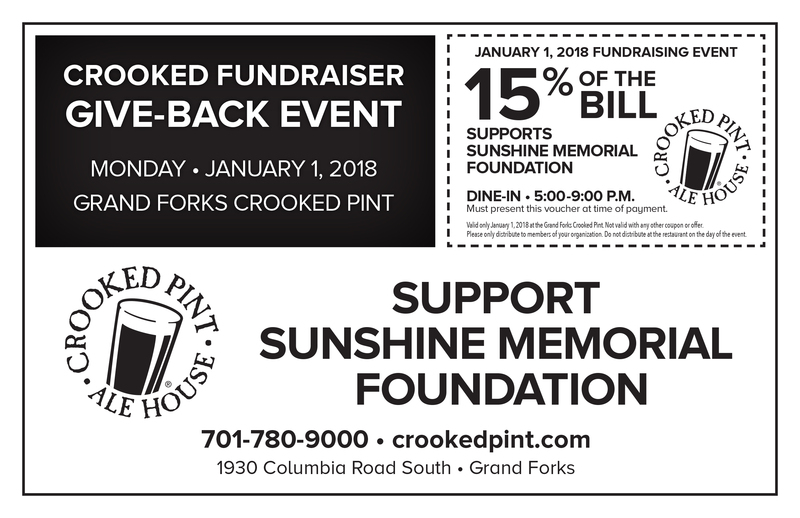 Dine between 5pm-9pm and Crooked Pint will donate 15% of your bill to us and the Sunshine Hospitality Home project! 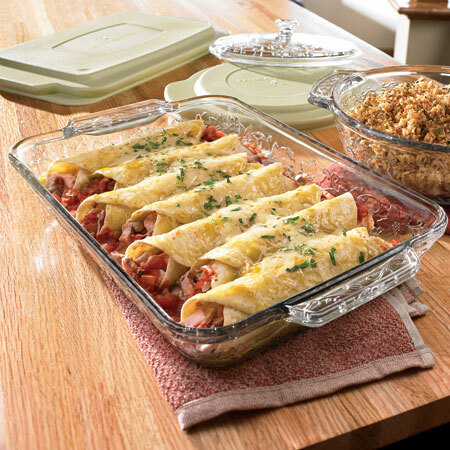 Check out the rest of their menu on their website, and trust us, your mouth will be watering. Must present voucher at time of payment. 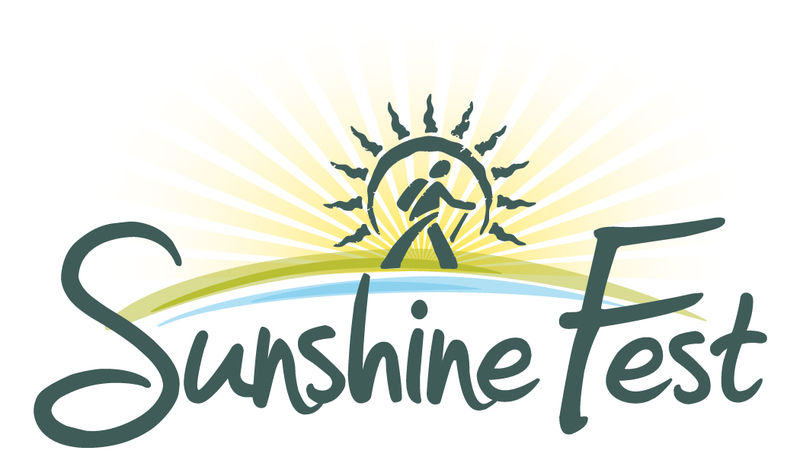 Proceeds from every Sunshine Fest go toward charitable causes in our community. 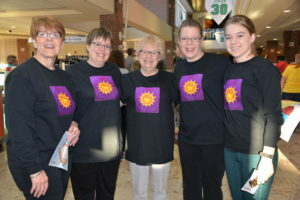 For the last several years, they have gone toward the Sunshine Hospitality Home project. 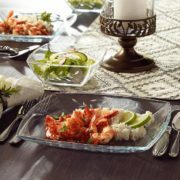 (To learn more about the Hospitality Home, explore around our website.) Since we are now in the construction phase (yay!) we are focusing our efforts on raising funds for furniture, fixtures, and equipment that will go in the Home. As you can imagine, it takes a lot to furnish a three-story Home like this. Tables, sofas, chairs, lamps, TV’s, etc… All of that adds up to a little over $350,000. So put on your walking (or running) shoes, and ask people to sponsor your mileage! 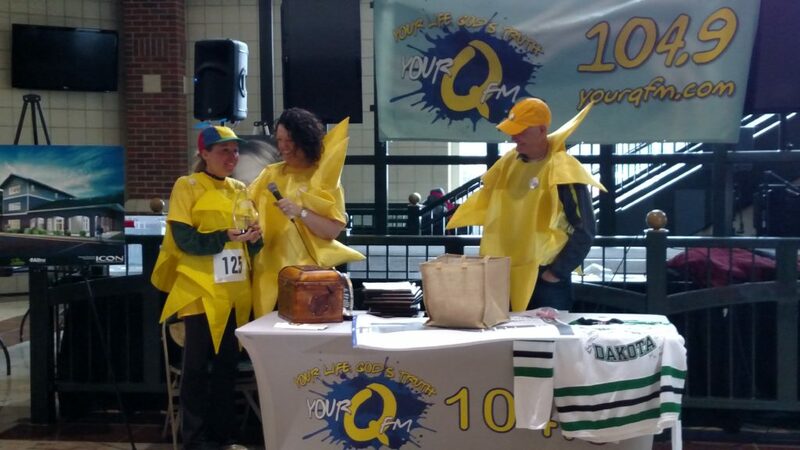 We’ve created a packet that makes it super easy to go around to your neighbors, friends, and family and ask them to donate as you do laps around the Ralph. We even created a couple of incentives to reward those who choose to grab a fundraising packet. If you collect $500 or more from the generous people you asked, your name or your team’s name will be included on the donor wall in the main lobby of the Sunshine Hospitality Home! Also, the teams that raise the most money (per team member) will be awarded some amazing prizes! If you would like to receive a fundraising packet, please contact the office at 701.738.2462 or e-mail theresa@sunshinememorial.org. 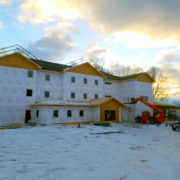 We look forward to seeing you at Sunshine Fest, January 27th, and for the Home to open sometime this year! Sunshine Fest is coming up quickly! We always like to kick it off by remembering why we are doing all of this. Van & Dee Larson created the Sunshine Memorial Foundation to honor the memory of their daughter, Shannon “Sunshine” Larson. 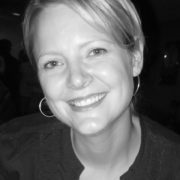 Shannon was born and raised in Grand Forks, North Dakota. She had a passion for living life to its fullest and was a ray of sunshine. Spending time with family and friends and traveling were her main interests. Her winning smile, compassionate and helping nature, generosity, and sense of humor, touched the lives of all those around her. Whether you had a long-term friendship or just met Shannon, she had such a charm and genuineness about her that she seemed to captivate you, and would always connect with a wink and a smile! Shannon and her fiancé, Matt, moved to the Phoenix area in 2007. On September 8th of that year, Shannon died from heat exhaustion while hiking in Usery Mountain Park. Although she had done extensive hiking previously, she was unaware of the effects of the intense heat and the subsequent large quantities of water necessary under these circumstances. Shannon was 31 years old and just beginning a new chapter in her life. Perhaps her death could have been avoided if information had been available to her about the dangers of dehydration and heat stroke. The Sunshine Memorial Foundation was created to help others in a way similar to which Shannon did. We are currently raising funds to build the Sunshine Hospitality Home, which will help so many. It will provide a place to stay for those who are seeking medical treatment in Grand Forks. It will be a place that brings sunshine to many in difficult circumstances. Proceeds from the upcoming Sunshine Fest will benefit the Home. We could all use a little more sunshine, especially during this cold snap! 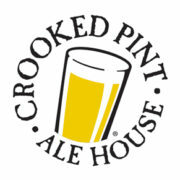 Kick the New Year off right with delicious food and drinks from Crooked Pint Ale House! 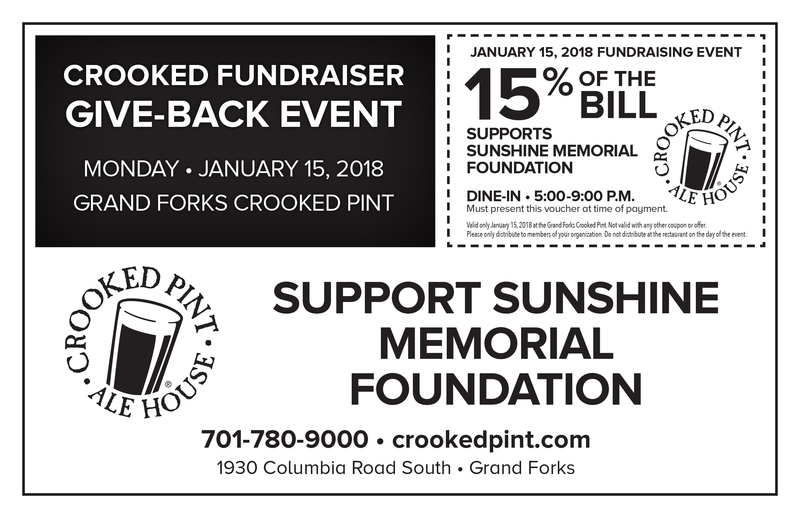 Dine between 5pm-9pm and Crooked Pint will donate 15% of your bill to us and the Sunshine Hospitality Home project! So round up some friends! 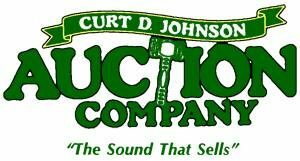 We are once again partnering with K-BID & Curt D. Johnson Auction Company to auction off the rest of the beautiful, unused Princess House items that were donated by Doug Messner. 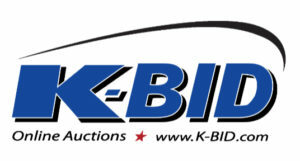 To bid on these wonderful pieces, all you have to do is create a FREE bidder account. We are partnering with K-BID & Curt D. Johnson Auction Company to auction off some beautiful Princess House items that were donated by an extremely generous donor from Pekin. Doug Messner lost his wife, Kathleen, in 2015. Kathleen had an extensive collection of Princess House items. Doug and his children thought it would be a fitting tribute to donate the pieces to the Sunshine Memorial Foundation to be used in an auction benefiting the Sunshine Hospitality Home. Thank you so much to everyone who came out to Sunshine Fest on Saturday! We hope you had a great time, as we sure did! Oh, and if you missed the big announcement… WE’RE BREAKING GROUND THIS YEAR! Honestly, this project would not be possible without the support of each and every one of you. We are lucky to live in such a giving community and to have such amazing people working on this project. 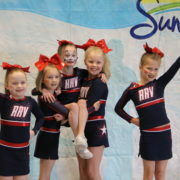 Pictures from Sunshine Fest should be up on our website sometime next week. We hope to see you at Sunshine Fest 2018! Sunshine Fest is this Saturday! If you’re joining us, here is what you want to know. The event is at the beautiful Ralph Engelstad Arena. If you are participating in the walk, you can park by and use the either the Northwest or the Southwest Entrance. Runners should enter through the main (east) doors. Doors open at 9:00 a.m. The Health & Wellness Fair, Kid Zone, Photo Booth, and pet therapy dogs will also start at this time and be available until 11 a.m. The opening welcome and announcements will start at 10:00. Then the walk will commence at 10:15 followed by the run at 10:30. After we all get our exercise in for the day, we will have sponsor and partner thank yous at 11:15. We will start presenting awards at 11:30. This will also be the time we announce prize winners. To finish off the day, we will be making our BIG ANNOUNCEMENT! Everything should be wrapped up by noon. Snacks will be available throughout the event. It’s not too late to register! Pre-registration will be available online until Thursday at midnight. Registration will also be available at the event. Help us make this the biggest and best Sunshine Fest yet! We look forward to seeing you there!